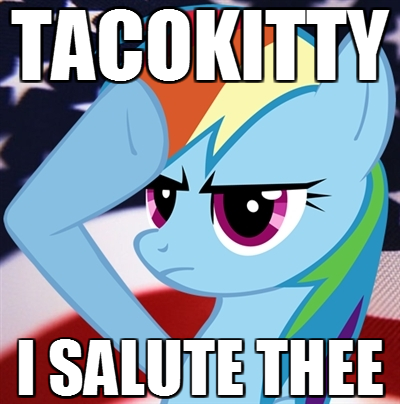 Anything that has to do with ponies should go into this thread! There's only one rule: DO. NOT. POST. CUPCAKES. If you don't understand why this show is great, follow this link. Click here to start downloading the episodes. And remember, you can always find the episodes on Youtube. I need to man up and switch one of these to my wallpaper. Celestia : "It costs 2000 dollars to raise the sun for 12 seconds"
I ended up putting those backgrounds as my wallpaper, and it randomly switches to a different background every 30 seconds. 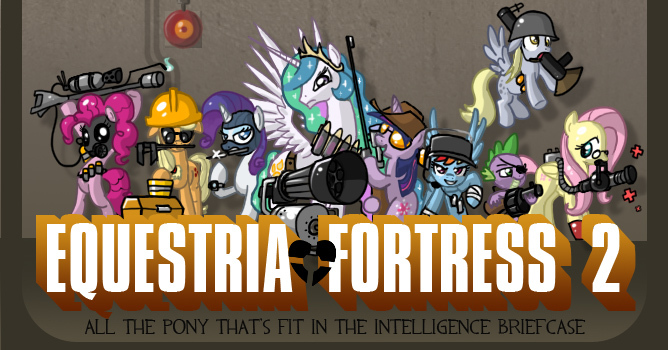 Someone's making a My Little Pony Trading Card Game! Rainbow Dash performing Fly Away From Here by Aerosmith. Explanation of why this show is good. 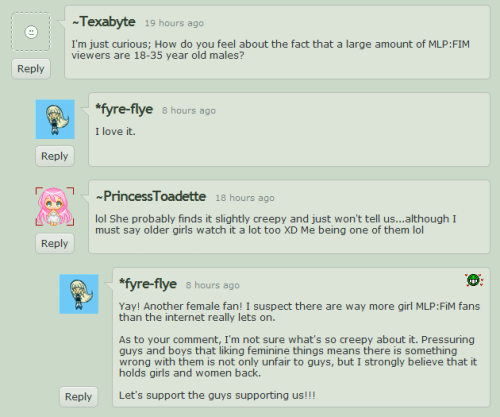 Lauren Faust actually cares about the older demographic of watchers. My friends hung up posters just like that in my high school during presidential elections. 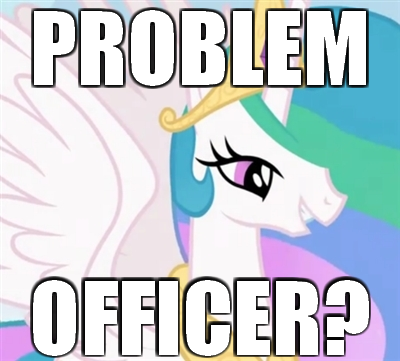 They all crossed out the names of people and wrote down "Princess Celestia" and voted for her. P.S. The green Powerpuff Girl (escapes my name at the time) is the best. WOAH, I DID NOT KNOW THAT. Thanks for telling us! The more episodes I watch, the more Pinky-Pie-ish I get. 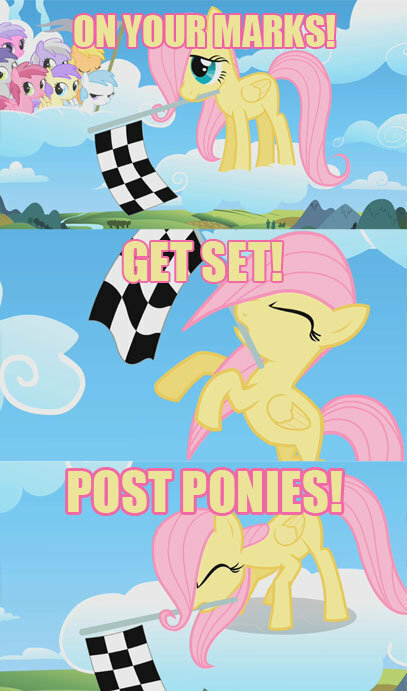 Friendship is Magic easily puts a smile on my face. Here's a map for Equestria! OT: How many episodes have you watched? 12 for me. That isn't Off Topic. I've watched all 26. 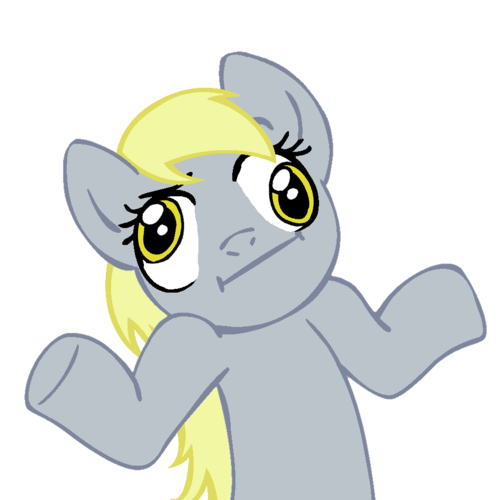 Learn how to draw the ponies. Like this one, which has download links for all of the episodes. I wouldn't download since all the episodes might take up a hundred gigs lol. Minecraft has a sun. My signature shows how Celestia can turn the tables.